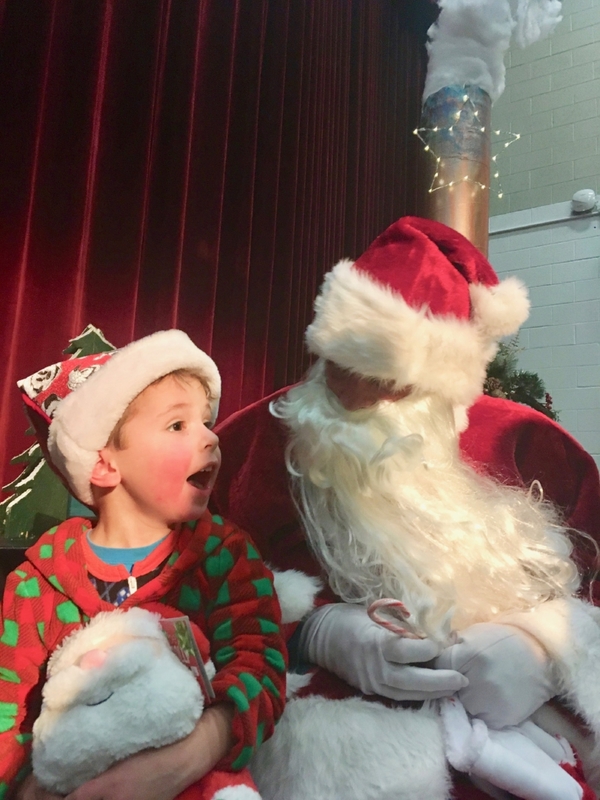 After the Whittier Tech Chorus filled the air with holiday song, including the classic Santa Claus is Coming to Town, the children in the audience could hardly believe it when old St. Nick stepped out with a big "Ho Ho Ho" and sat on a bench to greet them in front of the auditorium. Congratulations to our chorus members, Music Director Linda Urban, Sound Technician Matthew Hayes, Light Director Rich Porcelli, Videographer Andrew Roux and Math Teacher Albert Marshall who played Santa. Design and Visual Communications Teacher Catherine Cashman designed the posters and program, which were printed by Graphics Instructor Russ Riccio and his students. Math Teacher Albert Marshall was Santa.